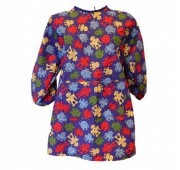 All Get Smocked handmade childrens art smocks are great to protect clothing when kids are at their creative best. 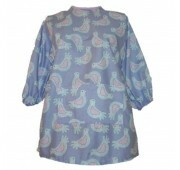 Every kids art smock is perfect for gluing, painting, drawing and all those messy tasks including cooking. 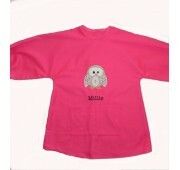 The personalised art smocks allow you to choose the colour, design and writting so you have something unique. 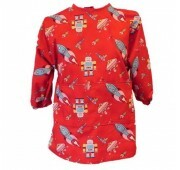 Our handmade art smocks are made from colourful fabrics to suit all boys and girls and come in varying sizes from the very small to school age. 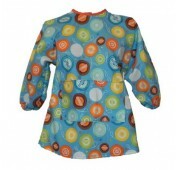 All art smocks for kids have velcro at the back to hold them together and elastic around the wrist. 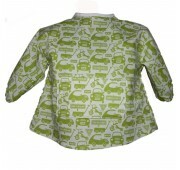 So here you will find the art smock made specially for you to order. 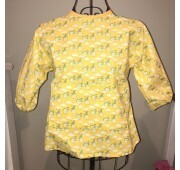 There are art smocks for children or art smocks for toddlers as their is a size to suit all children as they come in sizes 1-2, 3-4, 5-6, and 7-8. 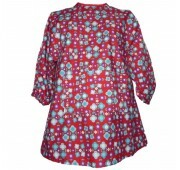 With beautiful bright and colourful fabric smocks are ideal for all toddlers and children alike. 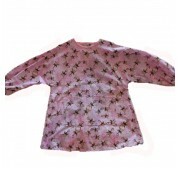 These kids smocks are great for many different uses from being used as a school smock or kindergarten smock or simply around home when they are drawing or creating that next masterpiece.